What Do You Look For When Buying A Home? I have been fighting the need to move for some time now. It’s not so much that I don’t want to move…but I don’t want to move. So the search started from an urge, which became an overwhelming compulsion. And before I knew it I had several viewings lined up. My search criteria was simple: 3 bedrooms and close to the train station. That was too simple, as I was soon to find out. And so I entered into the psychological maze of home buying as I have never known before. My motivation to move is purely practical: I cannot stand anymore looking at a row of filing cabinets where my 52″ TV used to be. It’s not that the TV has been pinched, it’s just you can no longer see it behind the row of black filing cabinets which now dominate my lounge, and it would appear my life. And so I decided I needed an office – which would require me buying a bigger house. No, it would appear that buying a home is MUCH, MUCH more involved than even I had ever realised. The checklist of practical priorities which you think you care so much about, actually don’t mean jack when you realise that buying a home is actually about buying a new life. Which kind of took me by surprise. Maybe it shouldn’t have, but it really knocked me for six. 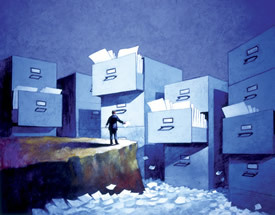 When I set out to find a new home for my filing cabinets (and me!) I hadn’t realised I was embarking upon a quest for a new life. But actually, what comes to the fore when you start looking around potential new homes is that all your hopes, fears and dreams become mixed up and muddled into the search. It no longer becomes a search on Rightmove for a 3 bedroom house close to the train station, but a search for a better life. I thought I was buying a bigger house not analysing my life! Would a home in Florida make your life better?